Individuals can make a difference in their own community but not everyone has bought into preparedness. Research on personal preparedness indicates that individuals who believe they are prepared for emergencies, crisis or disasters are often not as prepared as they think. 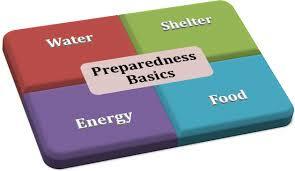 Additionally, some people do not see any need to prepare at all and have little or no intention of doing so. The ISSS Program 2013-2016 is committed to bringing awareness within communities, individuals and local networks to encourage participation in disaster preparedness activities to affect change at the community level. Sweden’s national crisis managers, fire-fighters, police departments, paramedics and other emergency responders do an incredible job of keeping us safe, but they cannot do it alone. We must all embrace our own personal responsibility to be prepared – in doing so; we contribute to the safety and security of our communities as well. ISSS encourage you, and organizations, within your community to look at the potential hazards that could affect daily living and gain further knowledge and awareness through media and the mandated government organisations responsible for ensuring safety and security at local, regional and national levels. The ISSS will be hosting Webinars, conferences and seminars throughout 2014, specifically for people within local communities, who are interested in preparedness, and welcome your participation.